I graduated in medicine and dentistry at the Medical University of Silesia. 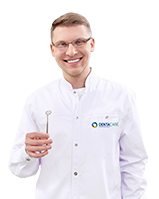 I have been working in DentaCare for 7 years, being involved in conservative dentistry, endodontics, prosthetics and minor surgeries. 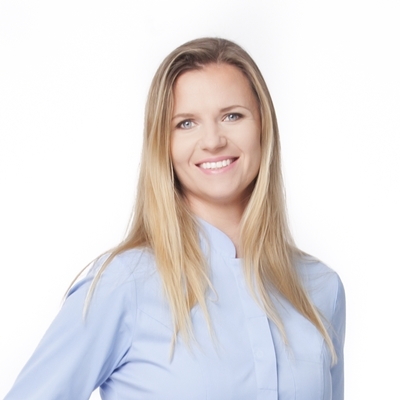 The most important aspect of my professional work is a good contact with the patient, which makes it possible to conduct comprehensive and multidisciplinary treatment focused no only on a beautiful smile but also on the improvement of the patient’s general health. I dedicate a lot of time to children’s dentistry and, if needed, I perform treatment procedures using nitrous oxide. I do my best to constantly improve my professional knowledge by participating in numerous courses and training sessions. The Quintessenz Medical Course – Prosthodontics – Endodontics – Aesthetics. Bridges, splints and other applications of glass fibres. Preparing teeth for crowns and bridges. An atraumatic method for periodontium. Aesthetic planning in the anterior section: porcelain veneers, composite veneers, whitening of non-vital and discoloured teeth. Prosthetic reconstruction in the context of functional disorders of the temporo-mandibular joints and planned occlusion augmentation.